In a recent blog post by Deborah Madison, she notes that "the aftermath of the holidays seems to have produced more articles about becoming vegetarian or vegan whether for a day, a week, or a month than I remember seeing...And why not? It’s good to try something new." In celebration of new things, she hosted a cooking class on New Year's with friends. The inspiration for the class was to introduce her students to new techniques, winter vegetables, and how to enhance natural flavors of food by using different oils and vinegars, herbs, spices and salts. As January is coming to a close, it seems that trying something new is not only more fun but also a good way to keep those health goals going strong. Why not try something new? 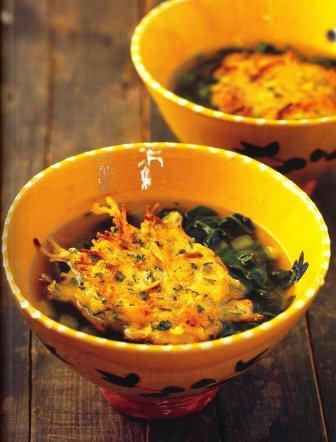 How about one of Deborah Madison's winter greens soup recipes? "Cool-weather markets can count on a steady supply of chard and cilantro, which get together in this pretty soup. Diana Kennedy is responsible for the noodle nests - I never would have come up with them myself - but they are a great addition, giving texture and substance to a light soup. Consider using them in place of dumplings and croutons in other brothy soups." 1. Beat the egg whites until they hold firm peaks, then stir in the yolks, noodles, cheese, and cilantro. Season with a few pinches of salt, then really work the mixture with your hands or a wooden spoon so that it's more or less homogeneous. It will look impossibly dry and stiff. 2. Heat enough oil in a medium skillet over medium-high heat to float the noodles, at least 1/3 inch. When it's hot, drop the batter into the oil, dividing it into 4 to 6 portions by eye. Fry until golden, about one minute, then turn and fry the second side, another minute. Set aside on paper towels. These can be made hours ahead of time. 1. Warm the oil in a soup pot. Add the scallions and celery and cook over medium-high heat, stirring occasionally. After the few minutes, add the cilantro and 1/2 cup water so that the vegetables stew rather than fry. Add the chard leaves, sprinkle with 1 teaspoon salt, then cover and cook until the chard has wilted down. Add the stock or water. Thank you again to Deborah for sharing her wonderful recipe with us! 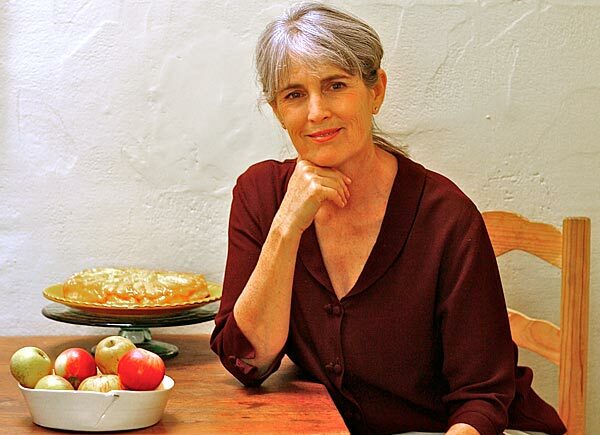 Be sure to check out her latest book Seasonal Fruit Desserts: From Orchard, Farm and Market and be on the lookout for her next book, Vegetable Literacy on shelves next year. "In general, I favor deserts that don't depend on exacting conditions or considerable manual dexterity to succeed. In fact, the desserts I like most depend not on our skill as pastry chefs as much as on the materials we start with, which is why this collection of fruit desserts is so closely linked to orchards, farm stands, farmers' markets, and backyard gardens - places where you'll find good fruit that will ensure your success. After all, you don't want to go to the trouble of making a peach pie and then discover it has no taste." Deborah Madison, founding chef of Greens Restaurant in San Francisco, and the award-winning author of eleven cookbooks, has changed the way millions of home cooks choose, prepare and enjoy fresh produce. 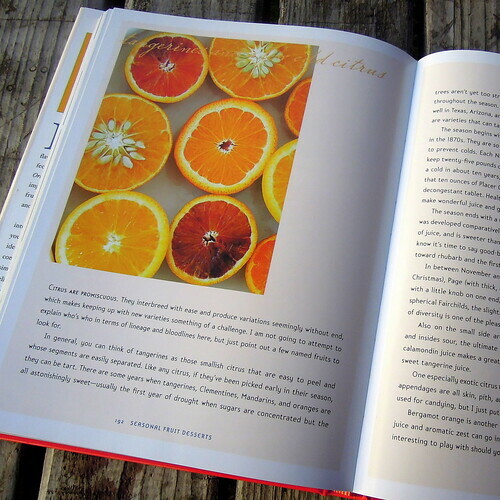 You can tell how we feel about Deborah by the well-used, dog-eared pages of our Local Flavors: Cooking and Eating from America's Farmers' Markets cookbook, just to name one! 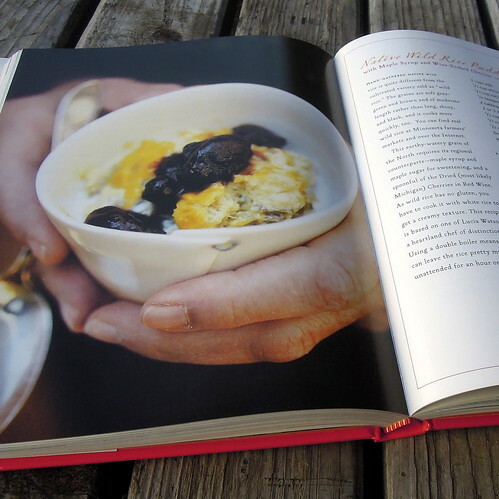 Now Deborah has introduced a cookbook sharing her spectacular fruit desserts - more than 175 easy recipes that are as delicious as they are healthy. And - we are ecstatic to announce that she has so very graciously offered to sign two copies of Seasonal Fruit Desserts for us to give away. 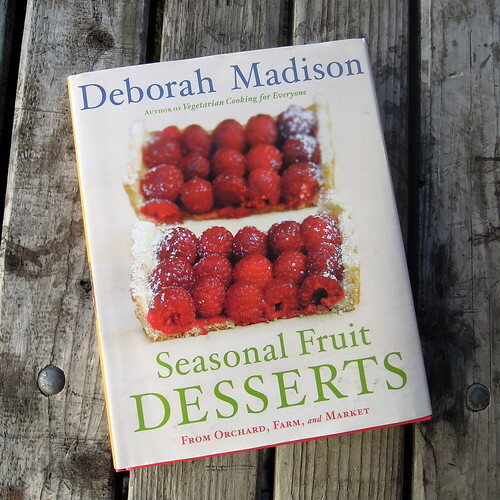 "Deborah Madison is all about trust ... the places she takes us beyond the recipe are what make her work so vital. Here, she is in all her glory telling us how to sort through the confounding variety of fruits for the best flavors and how to understand what we’re buying from the ground up. And she makes no bones about what she believes—taste and sustainability above all, local if at all possible, and in season always. Bravo!" What sort of cooking has been inspiring you lately? What type of recipes do you enjoy cooking more - sweet or savory? There are so many delightful and inspiring comments! Lately savory. Getting more creative with Winter veggies and using fruit as naturally sweet toppers and dessert. It's fun! Savory - It finally is cooler and I love to make stews and braises. There is nothing like turnips braised with pork in a clay pot. The FFTY turnips have been wonderful and my kids now even like them because they are so SWEET. I guess you could say I am doing a bit of both! Be sure to check out: Seasonal Fruit Desserts: From Orchard, Farm and Market and our next post featuring some of her scrumptious recipes. In the distance, the sun hangs over the grape vines that now look dead as they rest during winter before turning the sun's energy into fruit for the next season. 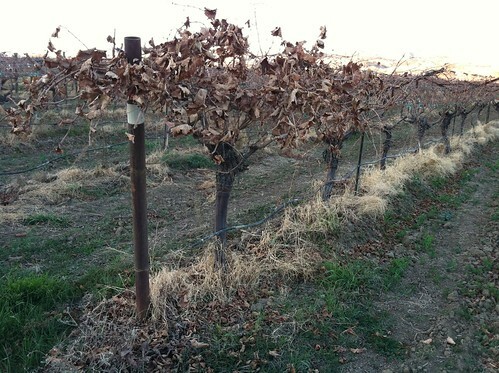 Most of their leaves have fallen off exposing the vines that have grown crookedly on the trellis. These vines will soon be pruned off for the new season. Today they remain, giving the vineyard an authentic, rustic feel. From these vines hang dead, dry leaves that the wind and gravity have not yet brought to the ground. The floor of the vineyard is scattered with all of the other leaves that have dropped from the vines. Growing through these brown leaves are lush, green clover and fava bean plants that were seeded as a cover crop in fall. The colors scream out fall, despite it technically being winter. The leaves are brown. The vines have a deep red tint. The brown earth is still visible between the newly sprouted cover crops. The hills are still dark yellow in the background and the sky is a crisp blue. 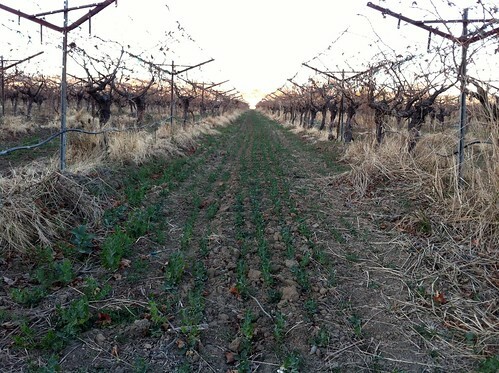 Hidden beneath the ground cover in the vineyard are little rodents that are not easily or often seen by the human eye. This is what the hawk is for. He patiently sits on a post in the vineyard watching the floor. He is not scared of the passing vehicles. This is one of his favorite spots, but I have seen him on the other side of the driveway perched on a road sign and sometimes on the top of the persimmon trees that line the driveway. Most often though, he is seen sitting on this post in the vineyard. I stop to take a close look, his head slowly turns to meet mine; his dark, round eyes stare me down. 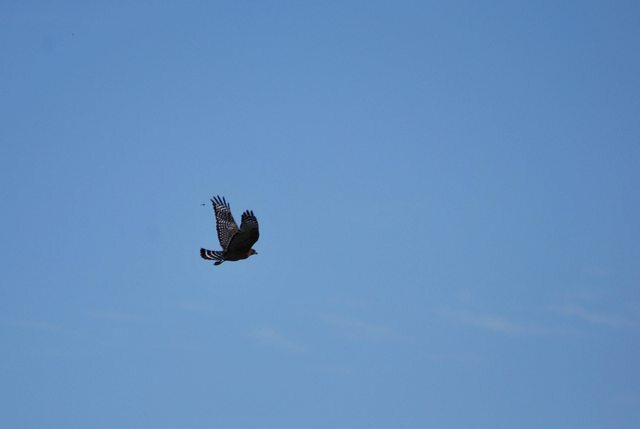 I am close enough to see the sharp point on the end of his beak. 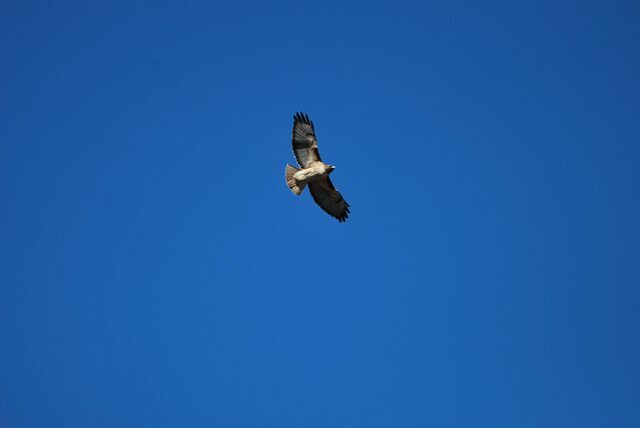 His feathers match the colors in the vineyard, red and brown on top and speckled white breast. The feathers that go down his legs ruffle in the wind. His attention leaves me and is focused back to the vineyard floor. In a fluid motion, he falls from his perch, glides between the rows of the grapes and sinks his talons into what I imagine is a field mouse. On the ground, he turns his head to look at the surroundings before starting his meal. Amused, I begin driving slow down the drive way toward the farm office. The ecosystem on the farm is one of its most precious resources.